Matt is a partner, the chair of the firm's Health Law Group and a member of the firm's Business Group. 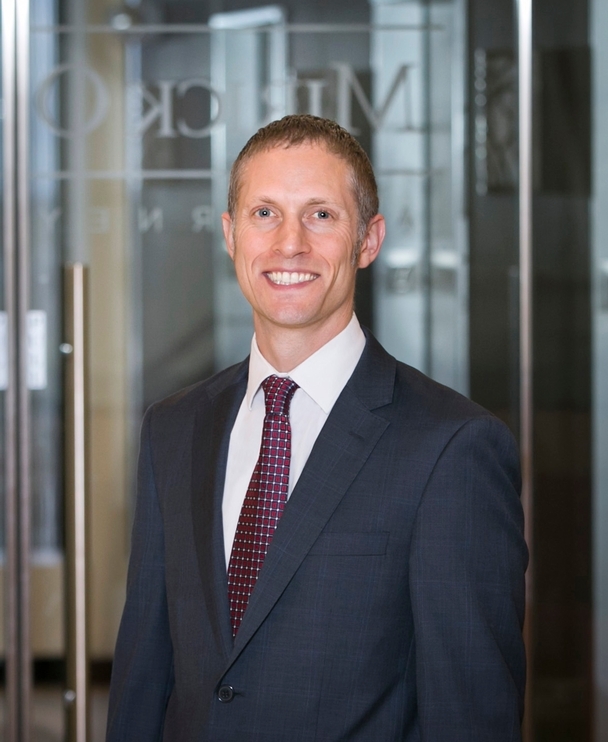 Matt focuses his practice on healthcare regulatory and corporate matters. Matt's health law practice is wide-ranging and includes advising clients with regulatory, privacy, security, fraud, abuse, and compliance issues. Matt advises clients to ensure that contracts, affiliation and coordination agreements, and other business arrangements meet both federal and state statutory and regulatory requirements. Matt’s regulatory advice focuses on complying with the requirements of HIPAA, the Stark Law, Anti-Kickback Statute, fraud and abuse regulations, licensing requirements, the Medicare and Medicaid programs, and the Sunshine Act. Matt also advises clients on compliance policies to develop appropriate monitoring and oversight of operations. Matt works with all types of providers within the healthcare system, including hospitals, physician groups, skilled nursing facilities, home health agencies and any other type of provider. Matt also advises health information technology companies from start-ups to mature companies. Matt is a Council Member-at-Large of the American Bar Association’s Health Law Section, co-chair of the Distance Learning Committee, chair of the Marketing Committee, and a vice-chair of the EMI Planning Committee. Matt received an ABA presidential appointment to a 3-year term as a vice-chair of the Standing Committee on Technology and Information Systems. Matt is also actively involved with task forces at the Health Information Management Systems Society and chairs the Advocacy Committee of the New England Chapter of HIMSS. In addition to this healthcare practice, Matt represents clients in all stages of business transactions, from formation, contract review and preparation, mergers and acquisitions. Matt assists clients of all sizes from small closely held companies to large multinational companies. Matt has been named a Massachusetts “Super Lawyer” by Boston magazine and Law & Politics every year since 2013. In 2011 and 2012, Matt was named a Massachusetts "Rising Star" by Boston magazine and Law & Politics. Matt was selected among the 2014 class of the Worcester Business Journal’s 40 Under Forty. Represented applied behavioral services company in sale to investor backed system. Represented multiple healthcare practices to prepare for investment from or sale to private equity and/or venture capital firms, including formation of management entities and attention to preserving independence of professional practice entity. Assisted numerous clients in developing, implementing and maintaining HIPAA policies and procedures, including responding to Office for Civil Rights investigations. Matt is the editor of Mirick O’Connell’s Health Law Blog, "The Pulse"
Matt is a regular contributor to the website, "HITECH Answers"